Blessings of SPRING! I am claiming Spring Equinox as my NEW New Year and I invite you to join me! As we sit in balance today on the Spring Equinox, I invite you to gather with me on 3/20/18 at 8pm eastern for a Spring discussion and guided meditation. There will be some Astrology insights shared, the Goddesses of Spring, ways to welcome the magick of Spring, and the guided meditation. 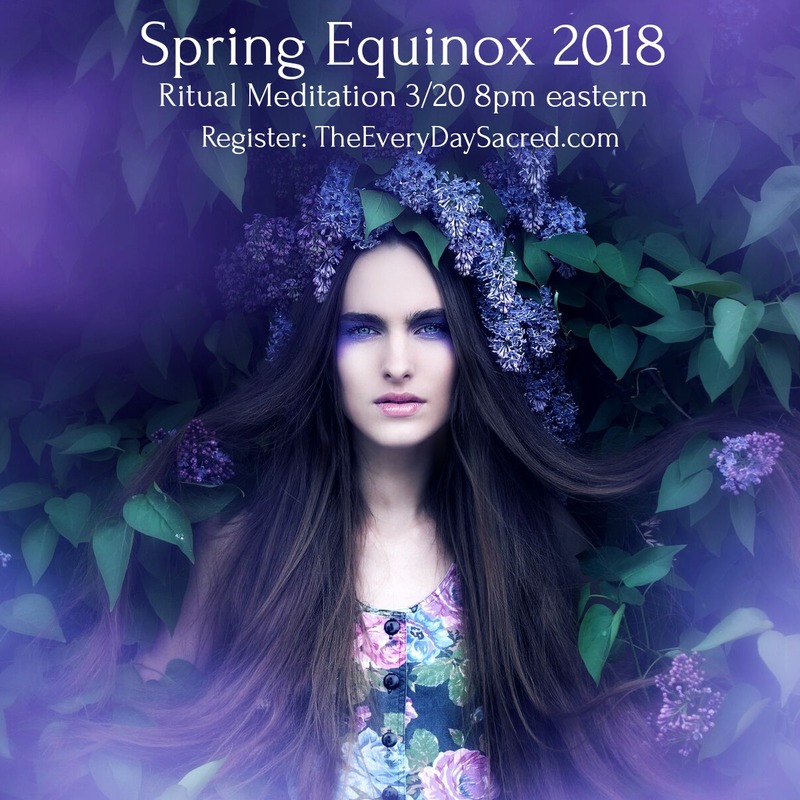 This free Spring Equinox event is being held on ZOOM, so you can connect via phone or computer, in the USA AND internationally. All the information is available via my free community, The EveryDay Sacred Circle. Register here and check the lessons for the call info and make sure you join the Facebook Group too! The call will be archived and accessible anytime. Within this perfectly imperfect vessel, we make room for the roller coaster ride of life – for the mundane and the magical. We see our lives reflected and affirm our commitment to seek more and to create new stories for our hearts’ desires. Goddess-Inspired Sacred Living is my world, my passion, how I create my life each day. I am delighted to invite you to join with me in a free, sacred space to share our bliss, our challenges, tools and practices for centering, and ways that mindful Goddess living can infuse and enhance our everyday lives. 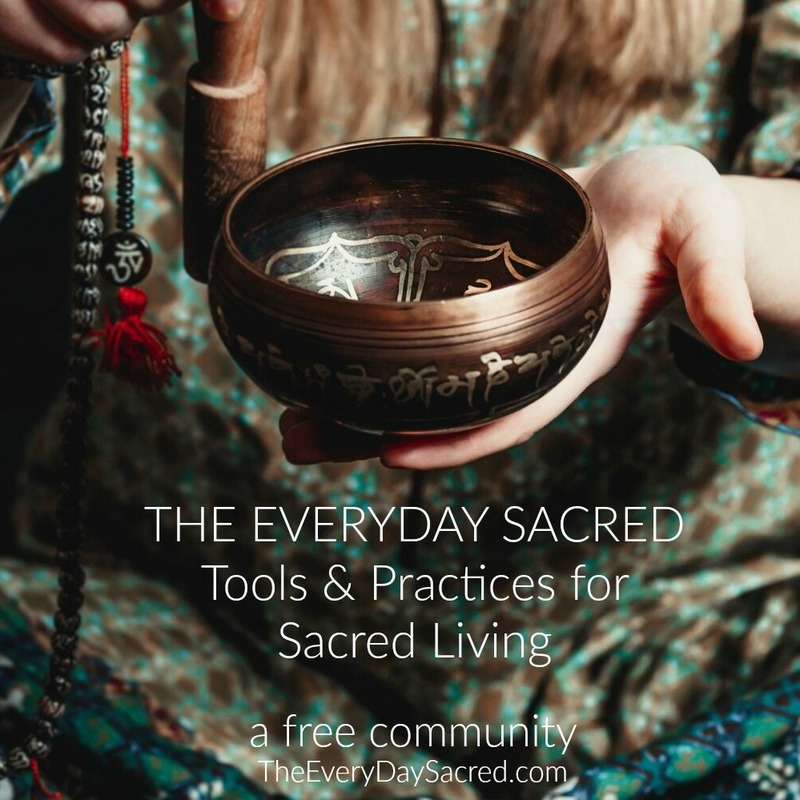 The EveryDay Sacred Circle is free to join and we have an active Facebook group for frequent engagement. Follow the hashtag #EveryDaySacred across social media and please tag your own inspirations and evolutionary revelations. Ask yourself every single day … what is sacred? Blessings upon Blessings. See you in the community!